Everyone loves a good keychain -- add a new one to your collection from our selection of custom Greek keychains for the year that perfectly reflects how you're feeling. With so many colors and styles available, there�s sure to be at least one that catches your eye. For example, you can add a New Year�s resolution to one of these printed keychains to remind you of your promise to yourself. If you're an alum who has just started a business, have one imprinted with your company name or pass them out to potential clients. If you�re a young lady in college who�s a brand new member of a Greek chapter, have a customized sorority keychain made that says "I made it!" along with the letters you�ve earned. Create custom keychains that say something special about your life and what inspires you. 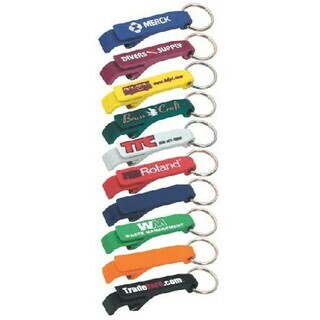 One of the hottest selling customized Greek keychains in our catalog is the Custom Printed Bev Key, for obvious reasons. 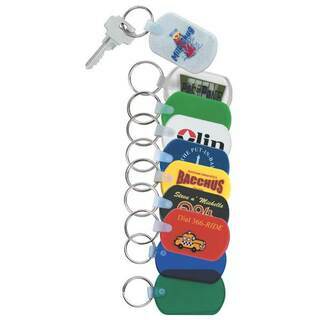 It keeps your keys organized and also is a hit at BBQs. 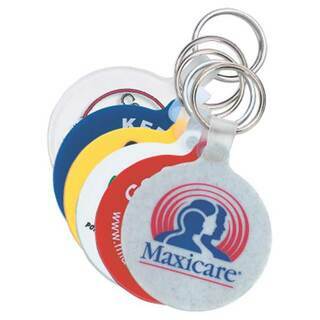 The Round Key Tag is a good choice if you want something to attach to your wallet or cellphone case that identifies your sorority or fraternity. All of these custom design letter keychains can be produced with rush service at Greek Gear. Keep them in mind for party favors and new member gifts in the fall or spring (bulk orders welcome). 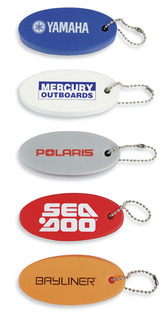 Custom Printed Key chainsThe Greatest Selection. Period.